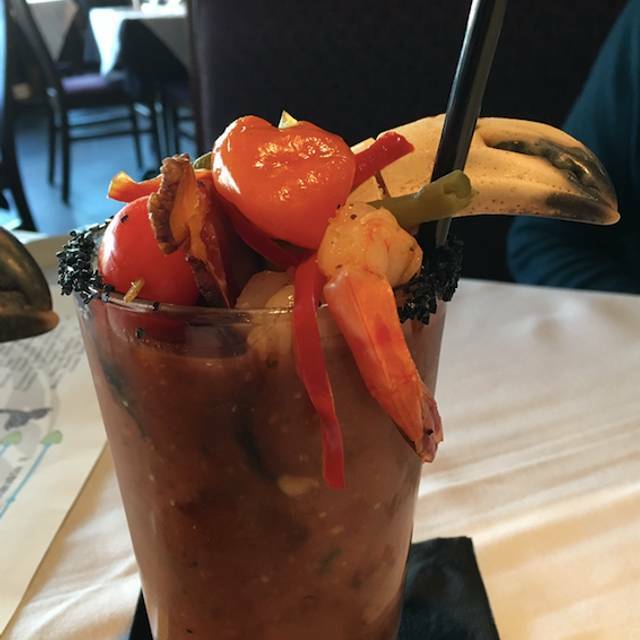 O’Learys Seafood Restaurant is arguably the best fresh-fish seafood restaurant in the region, and without a doubt the best seafood restaurant in Annapolis. Located off of Spa Creek facing Historic Annapolis and the U.S. Naval Academy, in the historic Eastport section of Annapolis, O’Learys is an intimate haunt that offers seafood cuisine that is strictly nouveau/fresh, along with “the best small wine list in Annapolis”! FANTASTIC DINING EXPERIENCE! 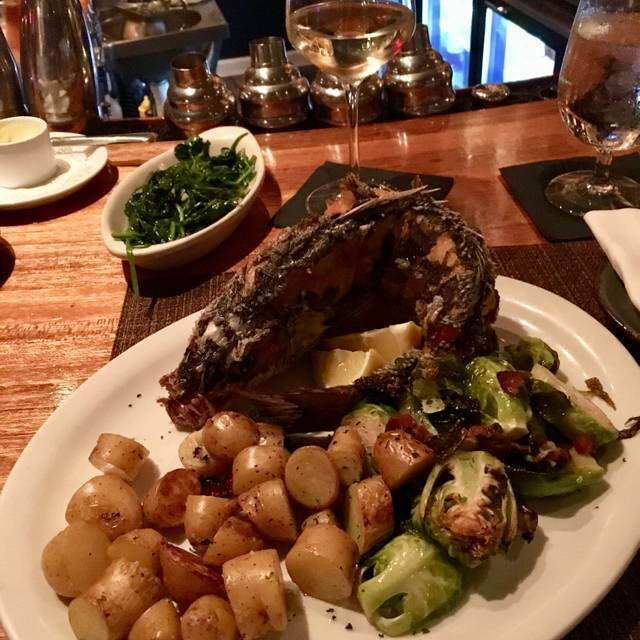 SUPERB cuisine, wines, and ambiance! Our waiter Dimitri was exceptional and delivered a flawless dining experience. Do not miss this gem - we will return to O'Leary's! OVERALL THE FOOD WAS VERY GOOD, ESPECIALLY IF YOU LIKE SEAFOOD. WISH THEY HAD A WIDER SELECTION OF RED MEAT/PORK. ALSO, WOULD LIKE SOME BEER ON DRAFT AND A LARGER SELECTION. APPETIZERS AND THE SERVICE WERE VERY GOOD. 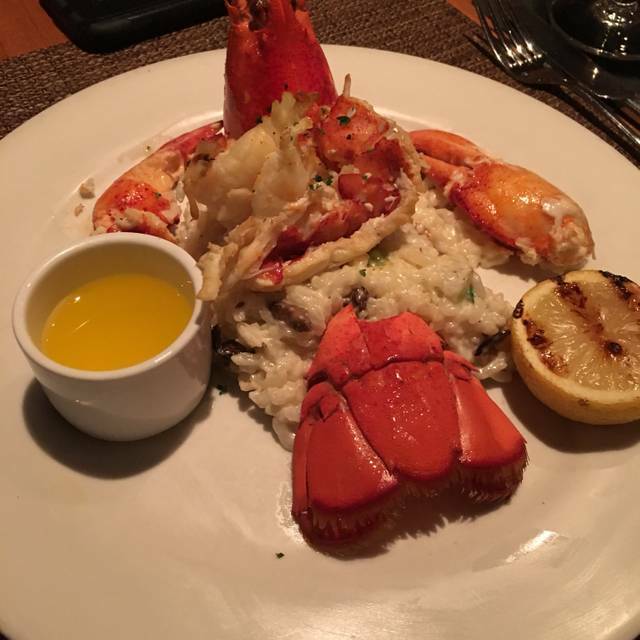 Great lobster risotto and crab cakes! Small and quaint! An Annapolis institution! My husband and I enjoyed a delicious meal while viewing some of the Lighted Boat Parade. If you like steamed mussels, check them out here. They prepare them in a white sauce which I could have had as a soup. It was soooooo good! The location is great, food was wonderful, staff was friendly. Definitely check out this place when in Annapolis. This is the second time I’ve been to O’Learys, very nice restaurant, most of our selections were good to very good. I chose a seafood pasta with scallops and shrimp which was OK to mediocre given the price of $34.. Everyone else enjoyed their meals. And Dimitri the server was very cordial and accommodating,, with excellent knowledge of what the kitchen could do. This was my first time here. What a great surprise. Small and charming with a really interesting menu. Super good/friendly wait team. A wonderful evening with three friends. Scottish Salmon and scallops...everything was delicious. Cocktails were inventive and very good. They have the best seafood in town. Our server was very pleasant and knowledgeable about the food preparation and description. Just a wonderful restaurant for courtship -- quiet for casual and intimate conversation, great service and great food. As always - excellent cuisine. 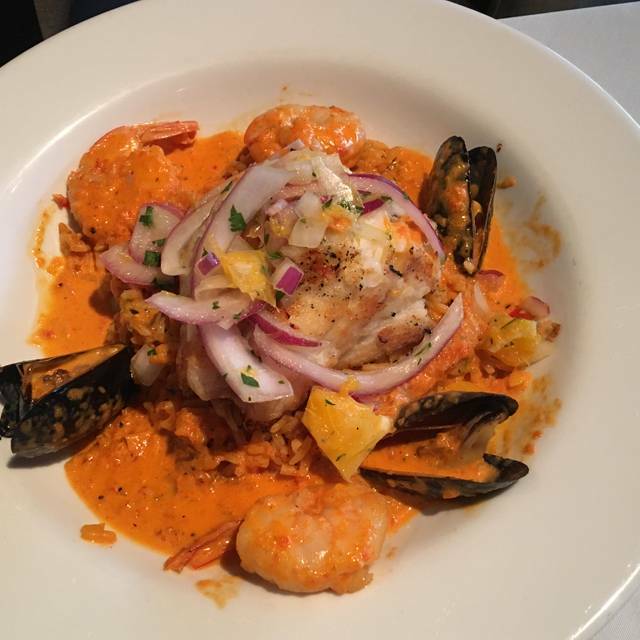 Best seafood in Annapolis, prepared creatively with local ingredients. Service was professional, if a bit slow. Dimitri, our server, made the visit which was a birthday celebration, even more special. His helpfulness and knowledge of the menu were commendable. A total gem. Delicious surprising dishes. Outstanding service. Great location and vibe. Beautiful restaurant. And a great value. Our first time but we will be back. O’Learys never disappoints. Busy night, we had a reservation and it was a bit hectic but we felt they had a sense of urgency about getting us seated despite the slight delay from Navy football folks. Great food as always. Best seafood in Eastport. Server was on the ball and knowledgeable. O'Leary's is my faaaavorite restaurant in Annapolis. The food is wonderful, always such a great selection. And I love the ambience. Wonderful restaurant. The bartender and server were so friendly and professional. Food was superb. The restaurant manager/owner was nice enough to give us a window seat even though we arrived 45 minutes early. Will definitely go back. Simply one of the best, if not the best, seafood restaurant in the Annapolis area. Outstanding service. 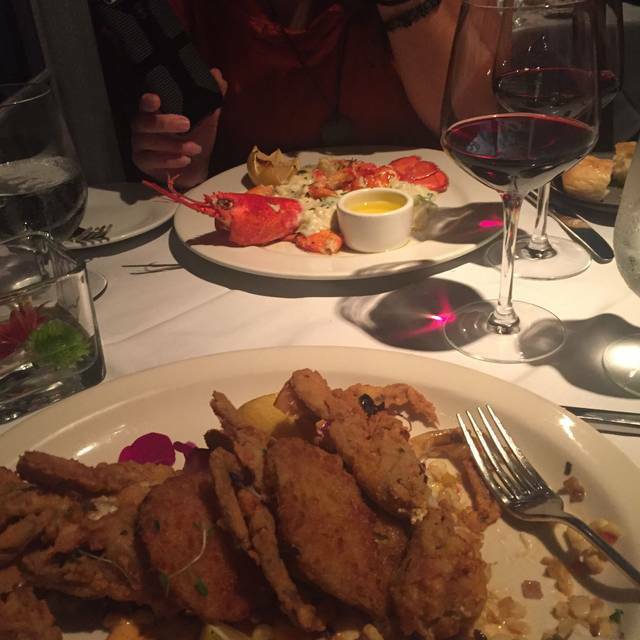 Good food, decent service, more intimate than the other options in the area like Chart House, Ruth Chris and Carols Creek. Food is somewhere in between good and very good, depending on who you ask. The food was outstanding. The calimari was succulent. The tuna and salmon were perfectly done and originally prepared. It's not inexpensive but worth the cost. Overall this is a great place. We continue to go and have gone for numerous years. I was disappointed in the oysters that my son and I were served (two experienced oyster schuckers and fans). Annapolis should not be getting Oysters wrong. Low on variety, not properly schucked (muscle not cut, pieces of top shell not cut from oyster meat), and some dry as if they had been schucked earlier in the day. Oysters need to be schucked to order and done properly. This was a lovely gem right off the water. I loved the service, as the waiter was attentive enough, not too much. What can I say about the food. It was delish!!!! The tuna superb! The shrimp and grits delightful. I would live to see more gluten free options and a sweet red on the wine list. Overall, I would most assuredly recommend this restaurant. Great service, thank you Dimitri, and amazing food. Fish never tasted better. Superior ambiance. Well played O’Leary’s! We came here for a special birthday dinner with our family of four while we happened to be in town for another activity. 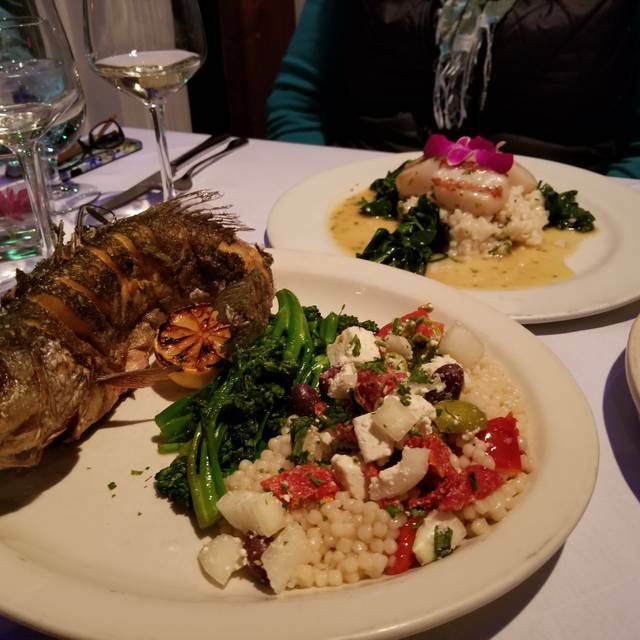 Our server did an excellent job of suggesting food for our Gluten Free family members, and he provided interesting nuggets about where the wine or food came from. He seemed to take great pride in providing excellent service. Everyone enjoyed their meal and while I wouldn't recommend the place for rambunctious kids, our older children felt welcome and respected. Been going here for many years and honestly it’s tired. Wait staff wasn’t particularly friendly or helpful. Met long time friends there and they concurred. Really disappointing for such a niche location on the Annapolis waterfront. Despite the big build-up by our server, we found that the food was unexceptional. We could have had a similar meal at any number of chain restaurants. Everything was overly spiced in our opinion, which is a shame when you order a delicate fish. It also seems that the menu is going overboard with attempts to be different by adding odd ingredients to staple dishes. It was an overall OK experience, but a far cry from the O'Leary's we remember from years back. This was an excellent experience. Love the food, the service was great and they really took note of the occasion. This is one of our favorite restaurants. It is always excellent. Great service wonderfully delicious and creative Seafood. Perfect risotto. 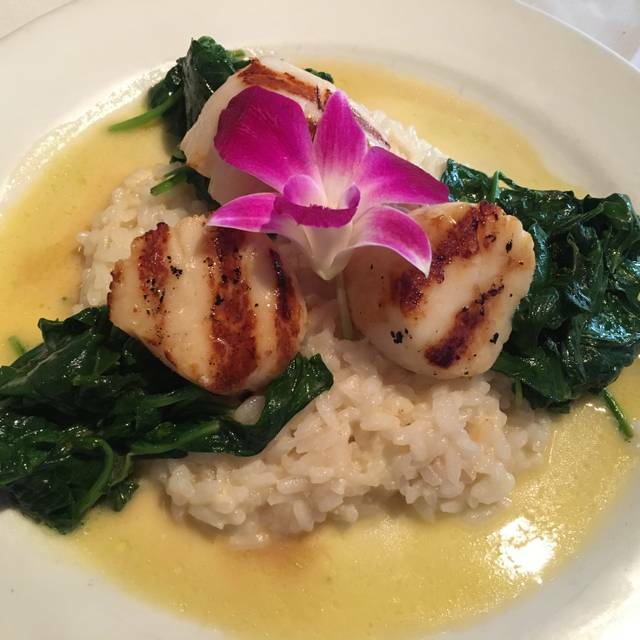 It's a very nice restaurant, kind of off main street, but with excellent food. Interior has interesting art work. Great for lots of occasions-many types of dress there-casual to more dressy. A good time. 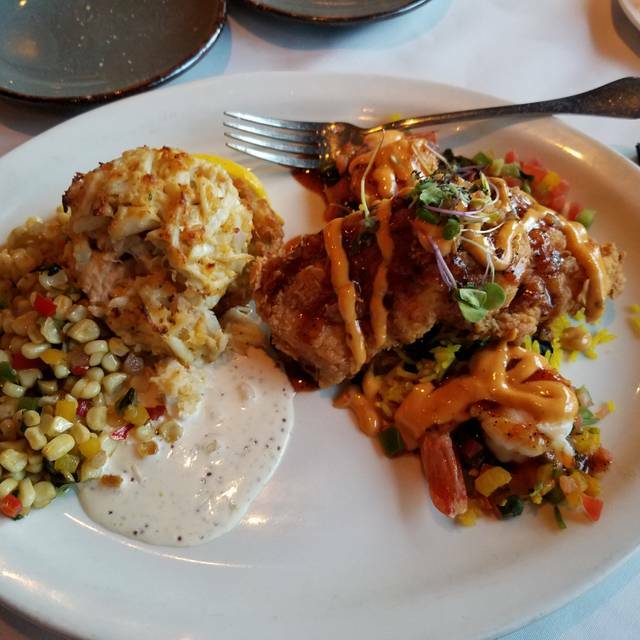 Excellent Crab Cakes and Scallop dinners. Nice wine selection. Wait staff very attentive. Food (crab cakes, scallops) was delicious; pricey but not unreasonable. Few interruptions while eating is excellent service for me. Markup on wines (around 300% over wholesale) is a bit high. Friends from Australia and Wisconsin we’re here and we were returning to a place we lived 25 years ago! The meal was delicious, one crab cake and fried rock fish, Maryland food. It was Tuesday half price wine night, that was nice. We like O'Learys it is small and friendly. As always, our O’learys Dinner experience was fabulous.